His students knew Jerry Kupchynsky as 'Mr. K'-the fierce Ukrainian-born music teacher who rehearsed them until their fingers almost bled and who made them better than they ever expected to be. Away from the classroom, though, life seemed to conspire against him at every turn. 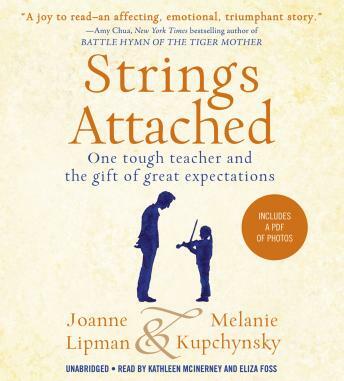 Strings Attached takes you on his remarkable journey, from his childhood on the run in Nazi Germany, to his life in America caring for his disabled wife while raising their two small daughters, to his search for his beloved younger daughter after she mysteriously disappeared-a search that would last for seven years.